Willingness to fund infrastructure development will provide a competitive advantage for Chinese companies seeking to invest in mining assets in regions like Africa and Latin America. Willingness to fund infrastructure development will provide a competitive advantage for Chinese companies seeking to invest in mining assets in regions like Africa and Latin America, Ernst & Young said Monday. 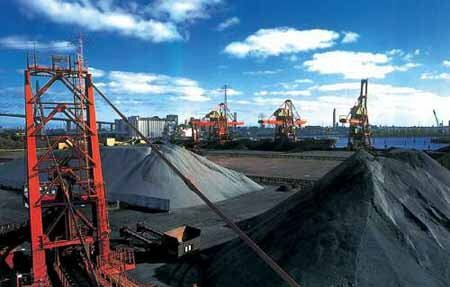 Mike Elliott, the leader of Ernst & Young's global mining and metals sector, said Chinese companies dominated the mining and metals transactions market in 2009, and he predicted the competition for assets in 2010 will be much higher. Last year, many of the investments were in developed countries. For instance, the assets based in Australia, Canada and the United States accounted for 44 percent of all global transactions. "This year, global investor focus begins to turn to regions with more perceived political risk," Elliott told China.org.cn. "Mining asset prices in the lowest risk regions have been bid up, which means assets in some of the higher risk, new mineral provinces are good value buying for the risk they represent. And this provides a great opportunity for Chinese companies looking for lower cost assets," he said. Statistics from Ernst & Young indicate that from 2000 to 2009 the number of Chinese dominated transactions reached 370 and were worth US$50 billion. Last year, the global trading volume increased to more than US$60 billion while China accounted for 27 percent of the gross. "China spearheaded the emergence of new capital providers," Elliott said. "Chinese enterprises have the cash and the need to launch an aggressive bid for mining and metal assets." Marcial Garcia, representative of Ernst & Young's South American mining and metal sector, said the trend of assets in higher risk regions appearing to have value came in the first quarter of 2010. He indicated that Q1 inbound investment in Latin America rose 42 percent and deal volume increased 189 percent, compared to the same time last year. "Competition for assets will be strong and investors need to bring more than a checkbook to the table," Garcia told China.org.cn. "An appetite for infrastructure is one of the key things Chinese investors have demonstrated and this will be a competitive advantage, particularly in many parts of Latin America and Africa." Deal values and volumes in the mining and metals sector will be up this year, reflected in a 300 percent rise in global deal volume and a 25 percent increase in deal values for Q1 compared to 2009. "While China and India continue to look for a larger and more stable supply, more mining and metals companies around the world want measured growth. Competition for assets will continue to increase," Elliott said. He suggested that access to technology, advanced management processes and systems, appetites for infrastructure investment and the ability to deliver marketing premiums could provide a competitive advantage to potential acquirers. "Chinese companies that can differentiate themselves by providing partnering proposition will succeed more often," Elliott said.